Model ACB-EW is a Waterproof Multi-Heat Sensor, which is fully compatible with Hochiki’s ESP Analogue Addressable Protocol. The ACB-EW incorporates a variable Fixed Temperature heat element and a Rate Of Rise heat element, both of which are controlled from the Control Panel, allowing either thermal element or both elements simultaneously to be active in making the fire decision. The sensor polling LED’s can also be controlled via the Control Panel (pulsing/non-pulsing). 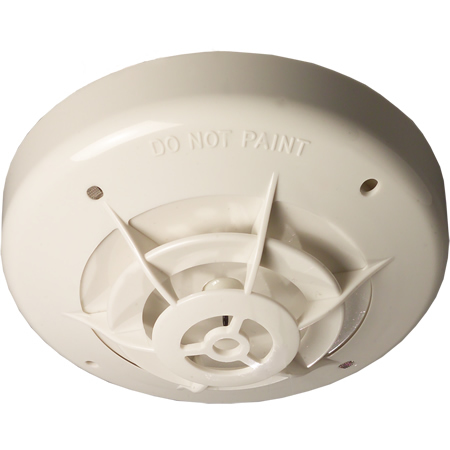 Rated to IP67, the ACB-EW can be used externally and is supplied with its own fixing base which is used to fix the sensor. Flying leads from the sensor connect directly to the loop via waterproof connectors.